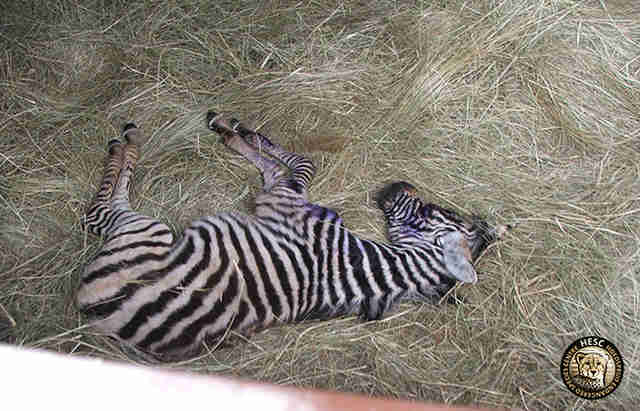 Zeta the zebra lost her entire family when she was only a week old. She was caught in a snare and found all alone, abandoned at South Africa's Kampana Private Game Reserve, by an anti-poaching unit, according to a blog post recounting her rescue by the Hoedspruit Endangered Species Centre (HESC). 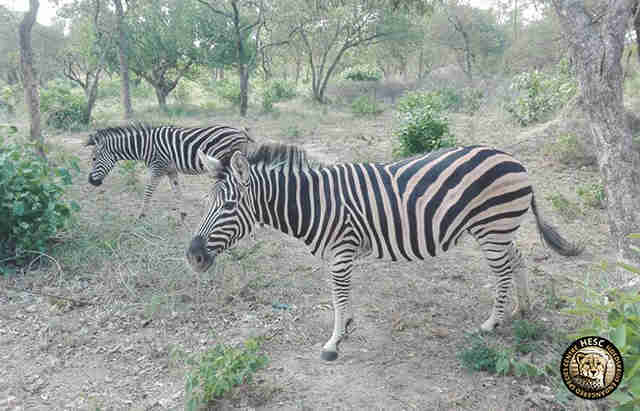 Zeta's dazzle - the name given to a herd of zebras - presumably abandoned her once they realized they were unable to set her free on their own. But luckily, Zeta was able to find a forever home at HESC and gained an unexpected parent in the process. 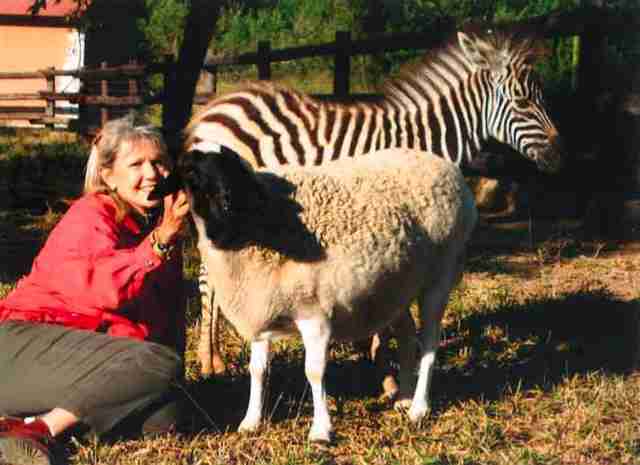 She became inseparable from her surrogate mother, a sheep named Heidi, who played a crucial role in not only keeping the young Zeta company, but feeding her and taking care of her overall. 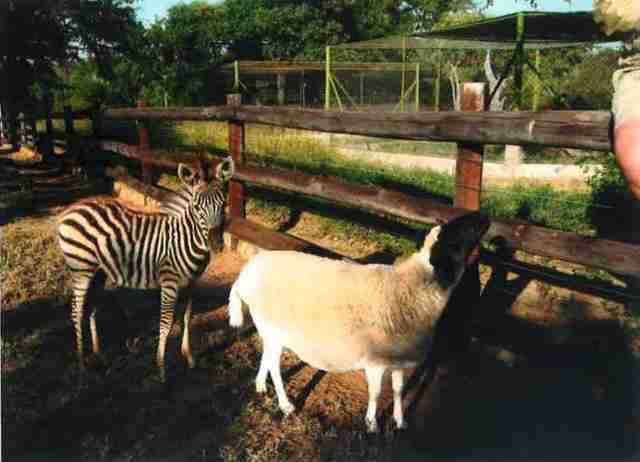 Heidi was known to foster other animals at HESC and Zeta was the last "baby" she cared for before her passing in 2010. Another sheep by the name of Skaap eventually took Heidi's place and became Zeta's closest friend. Zeta happened to become very protective of him as well. However, as Zeta grew older and bigger, she was moved to a larger enclosure, where she could roam with rhinos and ostriches. 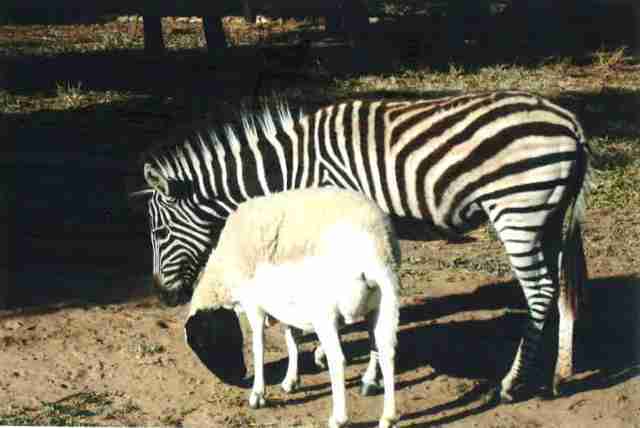 In April, she was paired up with a male zebra, another of her kind, to keep her company. "The two seemed to get along quite easily and were seen grazing together in no time," HESC wrote in the blog post. With the expectancy that Zeta will one day mother children of her own, it goes without saying that she learned from the best of the best.